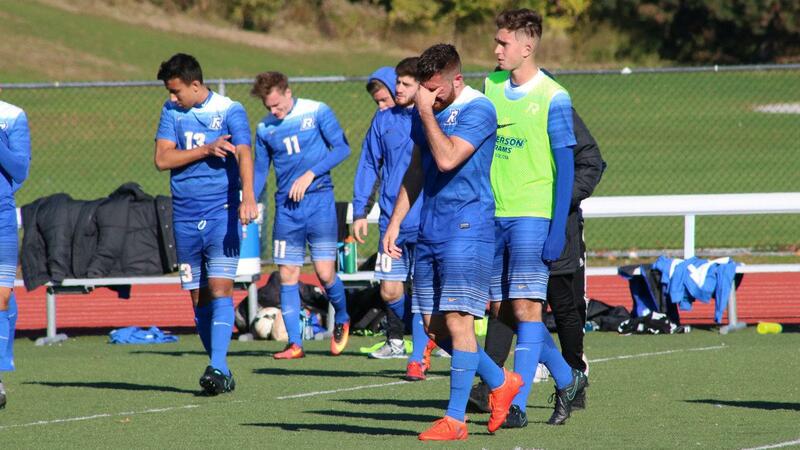 Ryerson’s men’s soccer team fell to the University of Toronto Varsity Blues 2-1 in the OUA bronze medal game at Birchmount Stadium on Sunday. The loss means the Rams also miss out on the last berth in the U Sports national tournament for a third straight year. Toronto’s Nirun Sivananthan opened the scoring with a goal in the 11th minute. This was followed by another Blues goal in the 36th minute by fourth-year forward Russell Rodrigues. Not long after that, Ryerson midfielder Jackson Tooke appeared to suffer a major leg injury and was taken off the pitch on a stretcher. The Rams stormed out in the second half with several chances on goal. After Kyle Stewart’s goal in the 50th minute cut Toronto’s lead in half, the team played with more energy and controlled the ball for most of the second half. First-year player Andrew Dias led the attack for Ryerson, which came up short. This is third season in a row that the Rams have lost to Toronto in the bronze medal game.